Old Tucson and the Arizona Sonora Western Heritage Foundation are pleased to present Western Music Association artists from Southern Arizona at the Western Music Showcase at Old Tucson! This fun and inspiring event will be held on Saturday, May 2 and Sunday, May 3 throughout the day during park hours, 10:00 am to 5:00 pm. Jon Messenger (Saturday only) – is a singer/songwriter whose music is a hearty stew concocted from the influences of an eclectic musical background. Influenced by everything he’s heard, Jon’s original Folk and Western tunes have been well received by audiences at festivals and gatherings throughout the West. These songs reflect Jon’s love of the myth, beauty, spirit and truth of the American West. Jon’s vocal and acoustic guitar stylings blend together to bring a haunting and authentic portrait of cowboy life, past and present. Jon also shares selections of Cowboy Poetry from both traditional authors and his own pen. Jon’s voice has been called the “best story-telling voice in contemporary western music”. Rich, warm, and evocative of whatever feeling is in the heart of the tune. 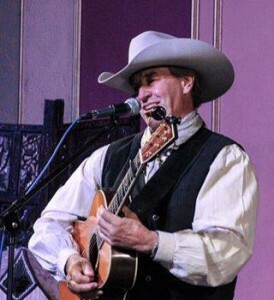 Bill Ganz (Sunday only) – is a western singer/guitarist based in Tucson since 1981. As a soloist, Bill has entertained throughout the southwest. Bill is also the leader and founder of the Bill Ganz Western Band, with five recordings to their credit. The band has performed with the Tucson Symphony Orchestra and members were guests at the 2013 SunRiver Music Festival in Bend, Oregon. Bill teaches guitar, voice, bass, and keyboards at the Chicago Store East. 43 Miles North (Sat./Sun.) – This trio hit the stage running in early 2014. 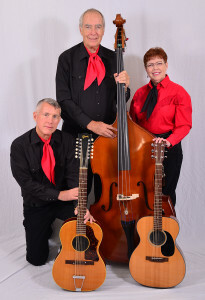 Members are: Sherry Walker on rhythm guitar, John Paulson on the 12 string guitar, and Jim FitzGerald on stand-up bass. Originally hailing from Oregon, Montana and Vermont, all three members now call Green Valley home. This eclectic band offers a full spectrum of songs from Western to Broadway and Classic Country to Folk. They are members of the Western Music Association and Sherry serves as secretary/treasurer of the Arizona Chapter. This clever band derived its name from Green Valley’s distance from the Mexican border – 43 miles north. David Rychener (Sat./Sun.) – As the oldest of 10 children on a farm in northwest Ohio, David grew up playing and singing gospel, country and bluegrass. He earned his Ph.D. from Purdue University in Marriage and Family Therapy and has a Masters in Theology from Fuller Seminary. He fell in love with the West and moved to Tucson, Arizona in 1983. Five years ago, he discovered his passion for western music and now performs traditional as well as modern western music regularly in the Tucson area and at Aravaipa Ranch, his guest ranch near Tucson. Janice Deardorff (Sat./Sun.) – is a cowgirl at heart who fell in love with the west looking through the ears of a horse when she was five years old. A Tucson native, she grew up immersed in songs of the West. Janice has been performing and teaching music most of her adult life and enjoys performing new western classics as well as original songs. Janice’s warm and captivating music will draw you into a memorable musical experience. Dennis Knill (Sat./Sun.) – Born and raised on a horse ranch in Colorado, Dennis writes and sings cowboy songs drawn from history and his own experiences as a horseman. 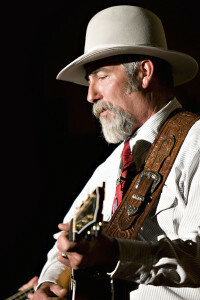 He loves to entertain folks with music and stories that take the listener back to the authentic Old West. Dennis has performed at a number of events in Arizona and beyond. In addition to live performances of Western music, families will enjoy Old Tucson’s signature live stunt, comedy, and musical shows along with living history presentations that describe life in the real Old West. Take a film history tour with Old Tucson historians who will highlight movies that were made on the historic sets over the last 75 years. Old Tucson offers rides for the young and young-at-heart including the train, antique cars, and vintage carousel. Stagecoach, pony ring and trail rides also are available (additional charge). This special music event for the whole family is included with Old Tucson admission of $17.95 for adults (ages 12 and over) and $10.95 for children (ages 4 to 11). In May, Old Tucson is open daily from 10:00am to 5:00pm. Don’t miss a thing – enjoy some awesome music and a day of Western family fun at a phenomenal price! Old Tucson is Southern Arizona’s premier film location and Hollywood’s most famous Western movie location recognized in over 300 feature films and TV Westerns. For more information about Old Tucson, visit www.OldTucson.com or call (520) 883-0100. Old Tucson is located in Tucson Mountain Park at 201 S. Kinney Road, Tucson, AZ. This entry was posted in Home Page, Home Page Slider, News and tagged Old Tucson, Western Music Showcase at Old Tucson. Bookmark the permalink. The timing of this event and the eMail and this posting about it are very interesting. I have literally just in the last two weeks been getting more interested in authentic old West music than ever before. I have had the very authentic soundtrack CD from the PBS series, The Wild West since the 1990s. But recently I was thinking of putting together a lot of extra credit material for a nephew of my partner when we take him and his grandma to Columbia State Historic Park (one of the most authentic Old West places in California), and I thought about using the music from the Wild West CD, then I thought about looking on Amazon to see if there was anything similar, and there is quite a bit. I’m going to get Old West Saloon Piano 1 & 2 by Squeek Steele, a few CDs by Craig Duncan, The Days of ’49: Songs of the Gold Rush by Logan English, and Wagon Wheels: 50 Legendary Songs of the West by lots of different performers. But the thing about the timing is that I had just decided on which of these CDs to put in my Amazon and eBay shopping carts about one day before getting the eMail with this story, and I have never heard of the Western Music Showcase in Old Tucson before. I think the timing is amazing, and I hope most of the music at the event is authentic. In my area we have way enough regular country music. Not into that at all. Sounds like a road trip for you! Excellent timing!